Walter Hyde Atherton was born on 15th Jan 1855 to Sir William and Lady Agnes Atherton, christened at St Pancras, Middlesex. He was educated at Charterhouse and commissioned lieutenant in the 5th Dragoon Guards on 2 December 1874, becoming captain on 27 August 1879. 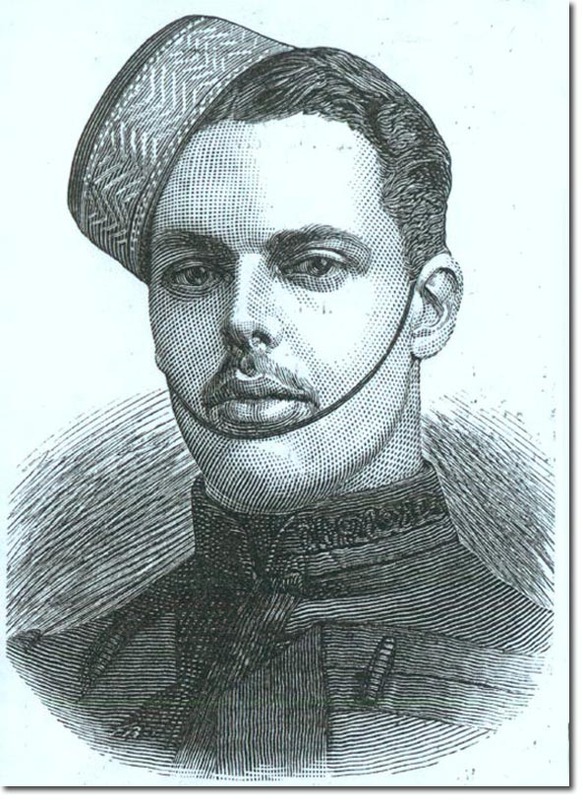 He was attached to the 4th Dragoon Guards in Egypt 1882 and was present at the battle of Tel-El-Kebir on 13 September 1882. Promoted to Major on 16 April 1884, Atherton commanded the 5th Dragoon Guards detachment of 31 men at the battle of Abu Klea on 17 January 1885, during which action he was killed. Of the nine British officers killed in action at Abu Klea, seven of them belonged to cavalry regiments of the Heavy Camel Regiment, the other two serving with the Naval Brigade. The 5th Dragoon Guards were represented by a detachment of 4 officers and 44 men. Major Atherton and 10 men were killed in action or died of wounds, mostly when the Heavy Camel Regiment section of the square was overwhelmed. His medals were sold at auction by Dix Noonan Webb in Dec 2013. Egypt and Sudan 1882-89, 3 clasps, Tel-El-Kebir, The Nile 1884-85, Abu Klea (Capt: W. H. Atherton, 5th Dn. Gds.) They sold for 3,300 pounds.